Showing finishing position, starting position in parentheses, driver’s name, hometown and earnings. 1. (3) 41 Matt Oberhelman, Fort Dodge, Iowa, $125. 2. (4) 37 Ryan Bryant, Mason City, Iowa, $100. 3. (2) 13j Justin Nielson, Luverne, Iowa, $85. 4. (7) 45 John Dahlsten, Pomeroy, Iowa, $75. 5. (6) 11 Sam Umbarger, Garner, Iowa, $65. 6. (5) No7 Brad Mayland, Britt, Iowa, $60. 7. (1) 5 Oliver Monson, Clear Lake, Iowa, $25. 5. (8) 18A Shane Aldinger, Iowa Falls, Iowa. 6. (6) 4D Daniel Ayers, Webster City, Iowa. 3. (4) 83 Scott Dobel, Manly, Iowa. 4. (7) 74 Matt Smith, Des Moines, Iowa. 1. (2) 6 Chanse Hollatz, Clear Lake, Iowa, $300. 2. (10) 7B Eric Stanton, Carlisle, Iowa, $250. 3. (1) 74 Matt Smith, Des Moines, Iowa, $200. 4. (4) 1 Derek Willert, Marble Rock, Iowa, $170. 5. (3) 32 Tony Smidt, Britt, Iowa, $140. 6. (7) 18Z Zac Smith, Mason City, Iowa, $120. 7. (11) 4D Daniel Ayers, Webster City, Iowa, $110. 8. (12) 42T Tyson Overton, Carlisle, Iowa, $100. 9. (6) 83 Scott Dobel, Manly, Iowa, $95. 10. (9) 85 Seth Jansen, Ogden, Iowa, $90. 11. (5) 18A Shane Aldinger, Iowa Falls, Iowa, $85. 12. (13) 88N Nate Parkhill, Webster City, Iowa, $80. 13. (15) 25T Tanner Redman, Blairsburg, Iowa, $75. 14. 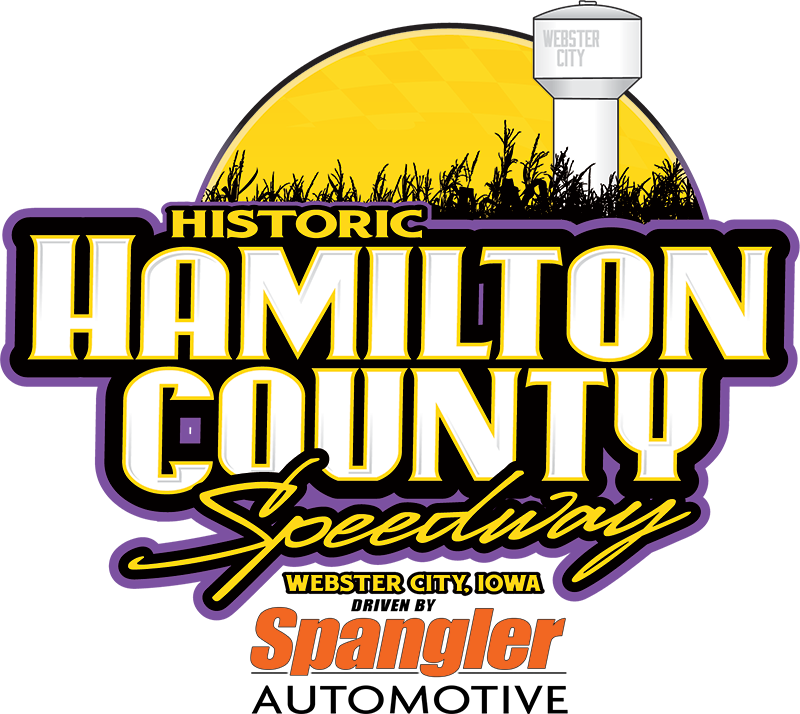 (8) 10 Danny Sassman Jr., Fort Dodge, Iowa, $70. 15. (14) 11G Jaden Glenn, Stratford, Iowa, $65. 6. (6) 74 Ethan Dotson, Bakersfield, Calif.
1. (1) 66 Tim Plummer, Norway, Iowa, $400. 2. (3) 32z Alex Zwanziger, Nashua, Iowa, $300. 3. (12) 56 Ty Griffith, Webster City, Iowa, $250. 4. (2) 1 Doug McCollough, Webster City, Iowa, $200. 5. (9) 99 Rocky Caudle, Ellsworth, Iowa, $175. 6. (4) 138 Jon Peed, Webster City, Iowa, $150. 7. (18) 74 Ethan Dotson, Bakersfield, Calif., $130. 8. (11) 65 Josh Appel, Mason City, Iowa, $120. 9. (7) 24c Jim Chisholm, Osage, Iowa, $110. 10. (10) 4 Ryan Maitland, Waterloo, Iowa, $100. 11. (6) 2 Brandon Maitland, Waterloo, Iowa, $95. 12. (15) 66 Levi Chipp, Latimer, Iowa, $90. 13. (14) 40 George Gilliland, Lehigh, Iowa, $85. 14. (13) 88N Nate Albrant, Thompson, Iowa, $80. 15. (5) 28 Autum Anderson, Mason City, Iowa, $75. 16. (8) T16 Taylor Elliott, Webster City, Iowa, $75. 17. (20) 6 Nick Meyer, Whittemore, Iowa, $75. 18. (17) 93c Craig Carpenter, Des Moines, Iowa, $75. 19. (16) 88 Bryer McCoy, Webster City, Iowa, $50. 20. (19) 10R Brandon Ratcliff, Kamrar, Iowa, $50. 1. (7) 32 Derek Green, Granada, Minn.
7. (9) 18X Daniel Eckblad, Saint Peaters, Minn.
8. (8) 92 Dan Mackenthun, Hamburg, Minn.
1. (6) 32 Derek Green, Granada, Minn., $400. 2. (7) 2j Steve Jackson, Polk City, Iowa, $300. 3. (9) 11 Jesse Brown, Nashua, Iowa, $250. 4. (1) 19rg Rick Gustin, Marshalltown, Iowa, $200. 5. (17) 14 Todd Staley, Webster City, Iowa, $175. 6. (3) 58 Matt Ring, Dows, Iowa, $150. 7. (16) 92 Dan Mackenthun, Hamburg, Minn., $130. 8. (11) 47 Parker Slagle, Eagle Grove, Iowa, $250. 9. (8) 87 Dylan Suhr, Waterloo, Iowa, $110. 10. (4) 20T Malcolm Teachout, Livermore, Iowa, $100. 11. (13) 27 Brandon Schaer, Garner, Iowa, $95. 12. (14) 18x Daniel Eckblad, St. Peters, Minn., $90. 13. (12) 66L Brent Lyman, Iowa Falls, Iowa, $85. 14. (5) 10 Justin Ades, Webster City, Iowa, $80. 15. (2) 59L Vince Loewen, Hubbard, Iowa, $75. 16. (10) 7 Jason Minnehan, Churdan, Iowa, $75. 17. (15) 4ord Bob Sutherland, Blairsburg, Iowa, $50. 1. (2) 00J J.D. Auringer, Evansdale, Iowa, $500. 2. (6) 12 Mark Elliott, Webster City, Iowa, $400. 3. (5) 21 Ben Nading, Ankeny, Iowa, $350. 4. (3) 14E Chase Ellingson, Iowa Falls, Iowa, $300. 5. (10) 5D Devon Havlik, Iowa Falls, Iowa, $250. 6. (4) 8X Scott Olson, Blairsburg, Iowa, $200. 7. (7) 78 Jonathan Perin, Webster City, Iowa, $175. 8. (8) 75 Christopher Elliott, Webster City, Iowa, $150. 9. (1) 02 John Davis, Altoona, Iowa, $140. 10. (9) 2 Jerid Ratzke, Webster City, Iowa, $50. 1. (3) 22 Charlie McKenna, Ames, Iowa, $600. 2. (2) 99D Darrell DeFrance, Marshalltown, Iowa, $450. 3. (5) 91 Gabe Umbarger, Garner, Iowa, $350. 4. (6) 2 Carey Umbarger, Garner, Iowa, $250. 5. (8) 7 Jenna Johnson, Mitchellville, Iowa, $225. 6. (7) 5 Rusty Patterson, Mason City, Iowa, $200. 7. (4) 76 Jason Hahne, Webster City, Iowa, $175. 8. (1) 15x Ryan Griffith, Webster City, Iowa, $150.